Paternity…Filiation…Who’s Your Daddy, whatever you call it, it’s the process where the Court determines who the biological father is and what his rights and obligations are. Mississippi Law provides a number of statutes dealing with the Law on Paternity. Miss. Code Ann. 93-9- 1, et seq. 93-9-7 provides that the father of a child born out-of-wedlock is liable to the same extent as the father of a child born of lawful matrimony. The father can be liable for the “reasonable expenses of the mother’s pregnancy and confinement, and for the education, support, maintenance and medical expenses related to the child.” Additionally, a father can be liable for past support and maintenance for a period of one year prior to the filing of the paternity action. The father may also be ordered to pay the mother’s reasonable attorney fees. Either the mother, the father, or any public authority chargeable by law with the support of the child may bring a paternity suit. This is what allows DHS to pursue these matters. The statute provides that once paternity is established the child shall have the surname of the father. These actions may be brought in Chancery Court, Circuit Court or County Court, though most often are brought in Chancery. Any agreements between the mother and father must be approved by the Court to be enforceable. A voluntary acknowledgement of paternity by a father is subject to a one year limit to challenge paternity. After one year, the only way to set aside a paternity Order is to show fraud, duress or material mistake and that you are not the father. Be careful about this. I always recommend a DNA/blood test, even if you “know.” If you are wrong you may still end up on the hook financially. Also, if you find yourself in a paternity suit be sure to file for a determination of custody and visitation. DHS will not always do this and you could end up with financial obligations and no specific rights to see your child. 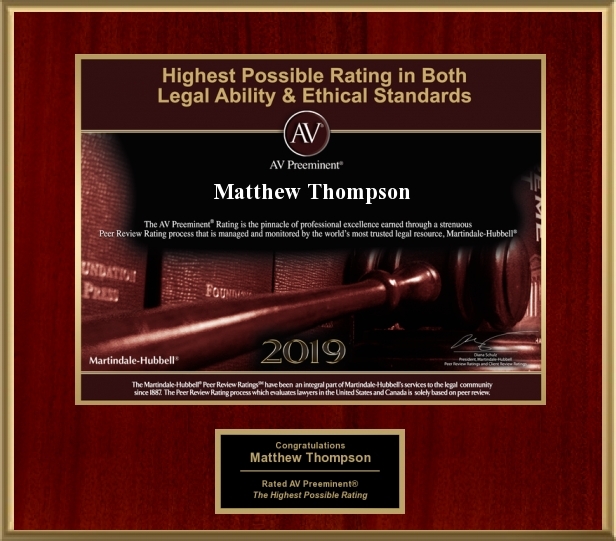 Matthew Thompson is a family law attorney in Mississippi and encourages you to hire an attorney if you find yourself in a paternity case. Previous PostWant Unconditional Love? Get a Puppy.Next PostHappy Anniversary; The “Secret” to Wedded Bliss. There is disagreement in our local bar as to whether a county court has jurisdiction to award custody and visitation when adjudicating a paternity action. Your thoughts? I recently presented at a CLE on paternity and was asked that specific question. The paternity statues do not mention custody or visitation so I can see a basis for the County Court to say they cannot, though judicial economy would dictate otherwise.